Back in November of 1995, my wife and I went on a vacation to California and Las Vegas. 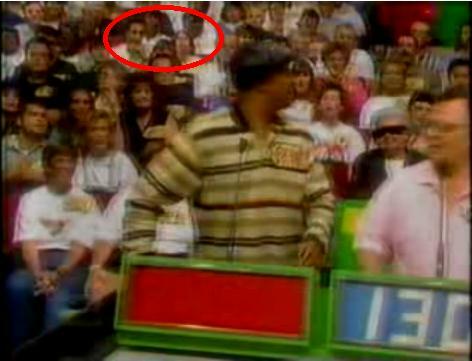 Those were the pre-children days, and we did all the normal touristy stuff: Beverly Hills, Hollywood & Vine, tour of the stars’ homes, Rodeo Drive, etc..
One of the big items on our list was to watch a taping of The Price is Right. My wife had been to California on her own years earlier, and had planned to see it, but had arrived at the studio too late (you have to get there at some ungodly hour – like 5:30AM – to get in). Anyway, we got up earlier this time around, got in and watched a taping, and then were asked to stay for a second taping that day, so the studio audience would be full for the cameras. THE INSIDE SCOOP: (WARNING: SPOILER ALERT – watch the video first, then read this). As soon as they went to commercial and the music died down, Bob Barker turned to the audience and said, “What an idiot!” People were still buzzing about what happened and someone must have said something from the audience, because Bob said something to the effect of “I don’t care if he won, he’s still an idiot.” After the taping was over, we were filing out of the studio and Bryan and his wife walked by. The audience was still yelling at him that he should have taken the first prize, but he was smiling from ear to ear and taunting us all with a piece of paper the show had given him (presumably related to his winnings). I was glad for the guy, but Bob Barker was right – when the odds of worsening your position are 61 out of 63, you don’t continue with the game. Wow, that’s kind of cool to be able to pick yourselves out of a crowd like that. And that you were there for what is apparently a somewhat notorious event, rather than just an ordinary episode.